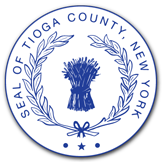 Below is a listing of all documents posted to Tioga County's website across all departments with the newest and most recently updated documents posted listed first. The list below can be filtered by Department, Category, or searched by Keyword. Individual departments also display these documents on their respective pages, sorted for easy viewing.